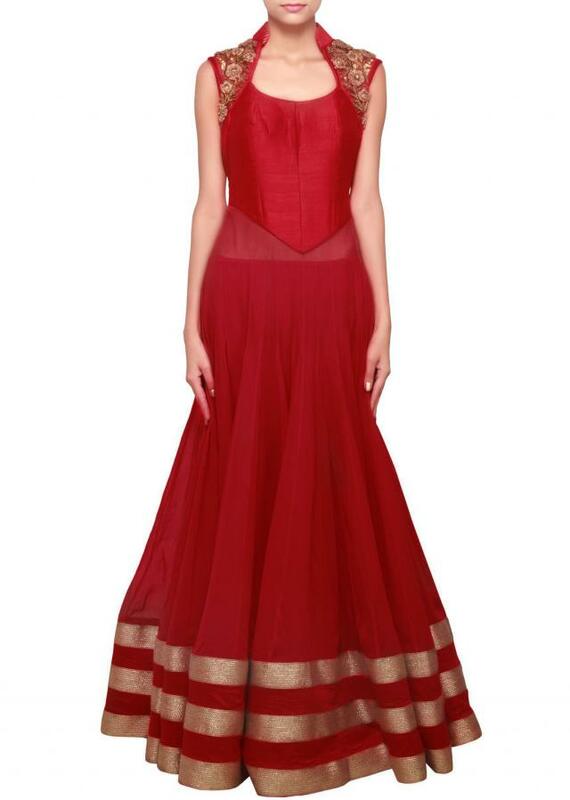 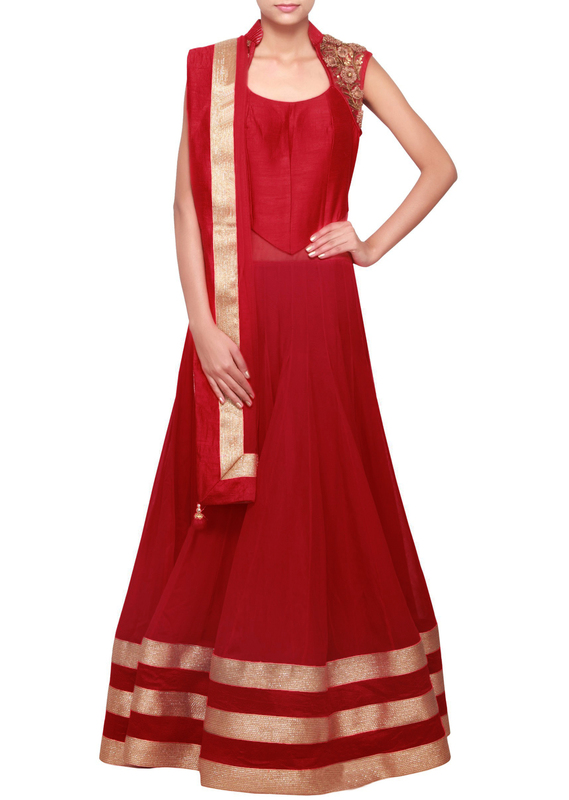 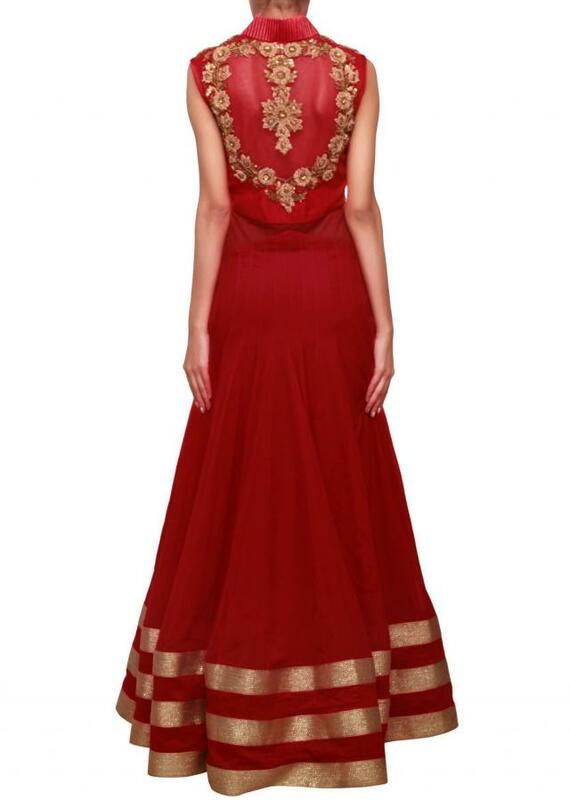 Anarkali suit featuring in red net. 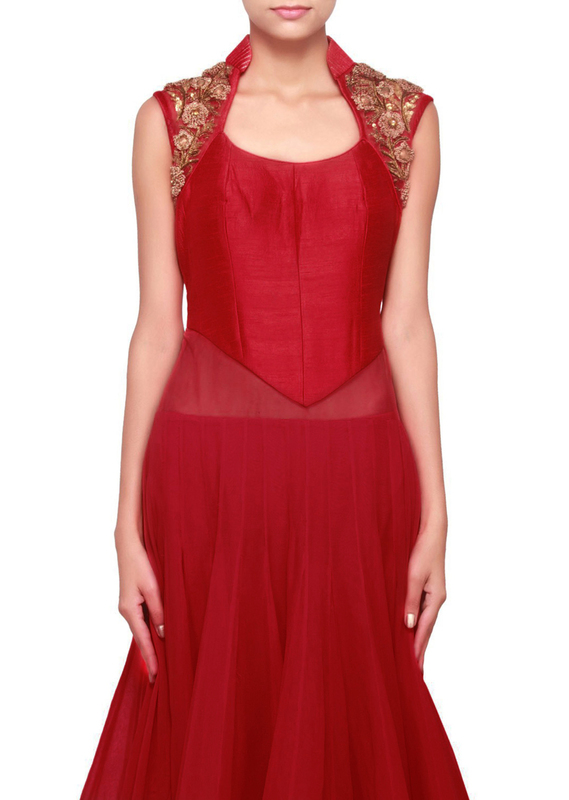 Bodice is enhanced in raw silk with zardosi embroidery. Churidar is in red lycra and dupatta in net with lurex border.